I had written a post a while back about ToyWiz, and how it was the only local place left that was selling hobby products. I don't like going there, and if you read the post I think it was fairly obvious. 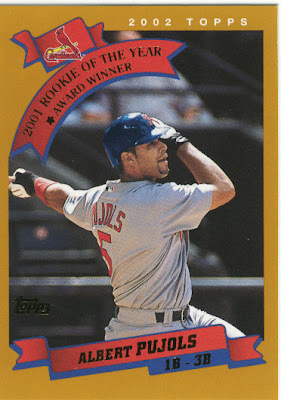 On the advice of DannyW in the comments section I decided to take a ride to Midland Park, NJ and see what the Baseball Card Store, Inc. was all about. I was headed in that direction anyway to check out an organic supermarket in Paramus so I figured why not have a little more fun. What's more fun than food and baseball cards? According to mapquest it was very close to where I was going, yet my car took my on a wild goose chase through NJ and on 2 unneccesary highways. Next time I am relying solely on my spidey senses to know where the cardboard is. What should have been about 20 minutes ended up being around double thanks to navigation thinking it knows everything.I finally arrived at the card shop, and it was very exciting to finally find one. And it was open, if you ask Suzy about the day we went from store to store (that's literally all we did one day in southern NJ and PA) more than half of them no longer existed. So the fact that it was still in business, and was open was a great start. When I walked in a guy and his son where discussing baseball with the owners, or the owner and his friend (I didn't ask them). It was a small store that had everything one could want. They had single cards (bonus) that were not insanely overpriced, supplies (I think were a buck or two high on what I bought, but I hate giving ToyWiz money), hobby boxes and packs. They were still waiting on Topps Series 2, but just got in Upper Deck Series 2 and Bowman.The store had countertop cases filled with various singles from all years, all teams, and some graded cards as well. I didn't bother looking at the graded ones because unless I do it myself I'm not interested. 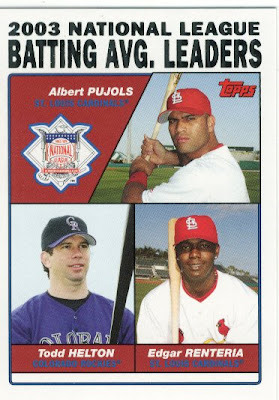 I asked to see the pile that had Albert Pujols on the top, and he was like, "A Pujols fan, in that shirt?" (I'm wearing a blue ringer t-shirt with a ginormous interlocking NY) I said yeah, he's my boy. So we began chatting about the Yankees and the stadium and baseball. My mother was dragged with me since she had to go to the supermarket, she was only mildly entertained by most of this banter though she was actively participating in the conversation when it was about the Yankees. 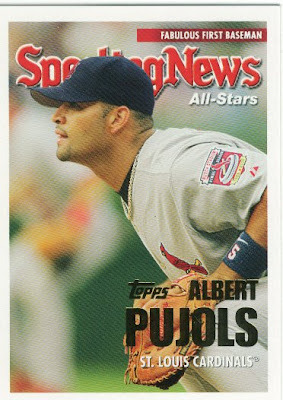 After I finished with that pile he said he had more Pujols cards. Sweet. Now, I didn't have my checklist with me so I was on a wing and a prayer picking cards out here. 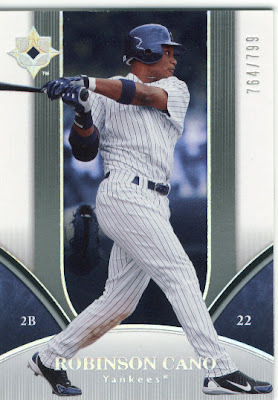 After I picked a couple (my favorite is probably the double header card because it flips, despite Drew being inside), I saw Robbie Cano in the case and snatched some of those, and then throwing in a Joe Girardi RC for the win. Why did I go here? Oh, I needed a binder, some team bags for eBay, and some hinge cases if they had them. Binder, check. Team bags for the store, check. Hinge cases, no dice I didn't see any and forgot to ask. Here was the pricing on packs on the items I can remember. Goudey was $7 per pack or 3 for $20, UD Series 1 $7 per pack, UD Series 2 $8 per pack, Topps Series 1 $3 per pack (I didn't get that considering they were $1.79 in BC, then again maybe that's why they are out of business...), Bowman $4 per pack, and Bowman Jumbo $12 per pack. Sadly the last few places I have been to had prices like this on hobby packs. 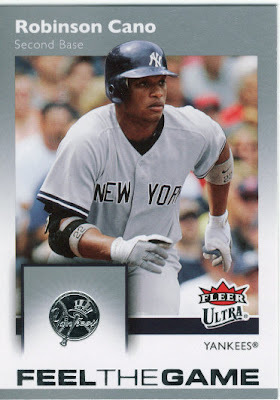 I remember when UD Series 1 first came out I was down by Sooz's house and we went to a store in the mall and the lady told us $7 a pack, and we were like, I'm sorry what? I did pick one pack up. Well, actually mom did. I always pick the bad packs that have nothing good so she got one. I told her I dont care which one, just not Allen & Ginter or Topps. 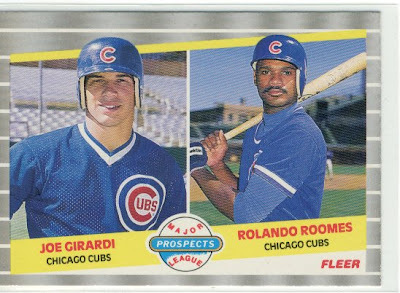 The Hobby boxes were on shelves so you could pick what you wanted, along with some vintage packs of 1991 Topps Series 1 and 2 for $2 bucks each. You'll have to come back later to see which one I left with. All of the loose cards you see that I picked up were $5 total. Take that eBay! 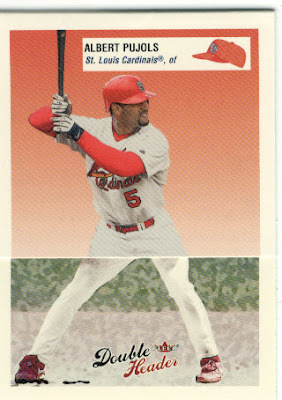 Sometimes it's nice to rummage through cards and pick some out in person rather than poking around on eBay and waiting, and in some cases still waiting 19 days later. I just spoke to the eBay seller on the phone and my items were shipped today, apparently there was an employee that was fired for some reason, etc. As we were leaving something hanging on the wall caught my eye. I am hoping Sooz doesn't have this, but if she does my binder will give him a home. There were 4 pocket sleeves hanging up with jumbo cards. 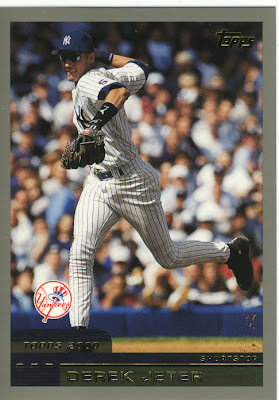 One of those jumbo cards was a 2000 Topps Derek Jeter. The card is the size of a team bag in width, and a hair smaller top to bottom. Happy Wednesday Sooz! Will I go back to this shop? Absolutely. The guys in there were friendly, it was an actually hobby type of shop. 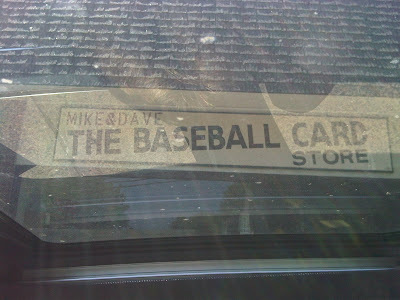 At least when I picture a baseball card shop, it resembles what I was just in. It reminded me of Baseball card heaven in Tampa, only on a smaller scale. 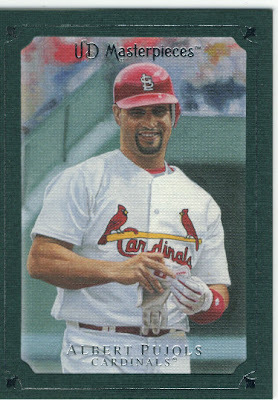 They seem to have tons of cards though, and before I left both guys said to call before I come by next time and they will bring tons more Pujols and better ones. I think my car will have lots of miles on it once I have some money to go back there. If anyone lives in the northern NJ or NY area, make sure to check them out. Stay tuned later for my pack break. P.S. 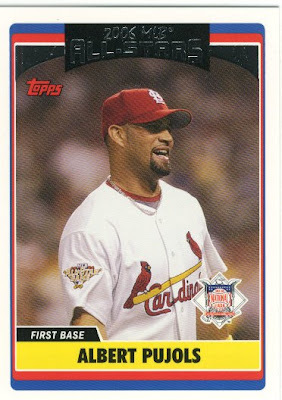 When I got home I checked my lists and I only had 2 of the cards I picked, the Pujols 2006 AS and the Cano Feel the Game. 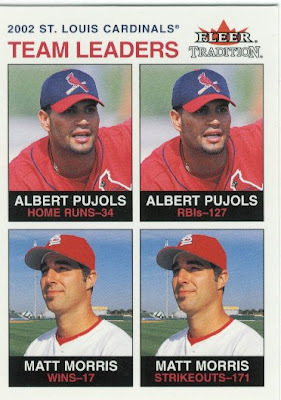 Still can't beat all of those for $5 including a green bordered Pujols and a serial numbered Robbie. I'm going to have to find that place. I live only 5-6 miles away. It was a great shop. 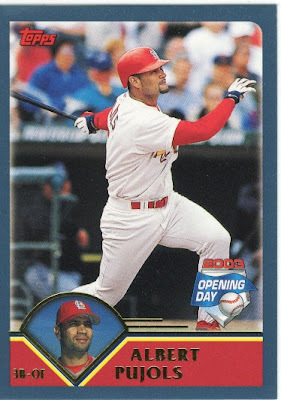 I just discovered that I can't read very well because I actually had both Cano cards. Oh well. Paul, definitely check them out. Funny you mention your GPS problems. There was a story on the radio this morning about how GPS systems will be getting worse in the next few years due to a lack of investment in satellites, technology, etc. Maybe yours is starting early. What store in Paramus were you looking for? Well, I was in Suffern and GPS had me go on 287 to 208. I wanted to just jump on 17 and hit back roads and I should have. We were going to Fairway, and had I know I could have just taken E Ridgewood I would have never listened to the stupid car. I was there on Tuesday, great place to shop. Peculiar store layout though.